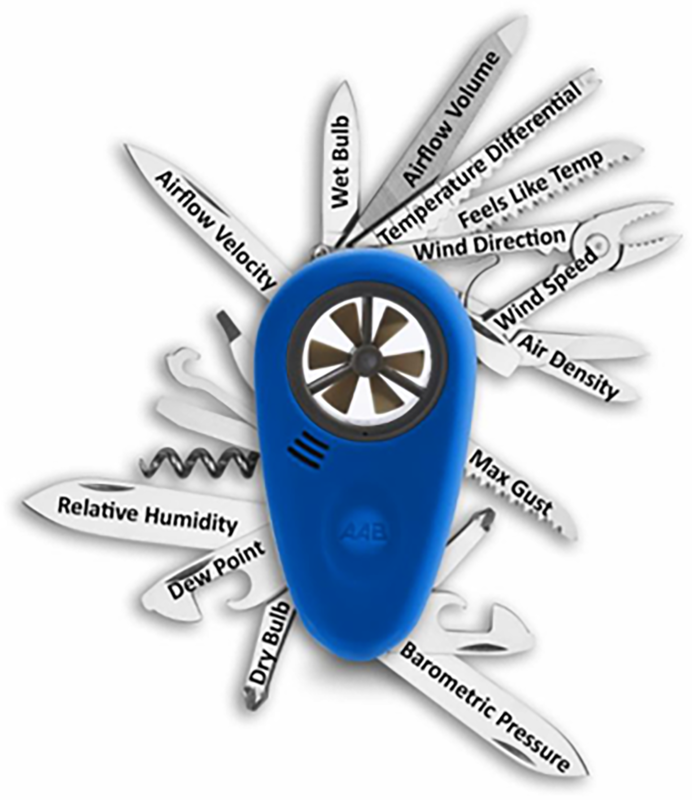 New to the Heatcraft range are AAB Smart Tools, brought to you by CPS. This advanced, quality range of Data Loggers, Anemometers, Airflow and Velocity Loggers are Accurate, Affordable and Easy to Use. Big Memory – The TempSmart TS-100 comes with a 32,000 event memory. The user can choose any recording increments from taking 1 reading per second up to 1 reading every 24 hours. Easy to Use – With incredible graphics and onscreen guidance, the TempSmart TS-100 is easy enough to use for the complete novice, yet powerful and accurate enough for HVAC experts. Accurate – The TempSmart has temperature accuracy of 0.2oC. This is comparable to the accuracy of meters costing 4 times more than the TS-100. 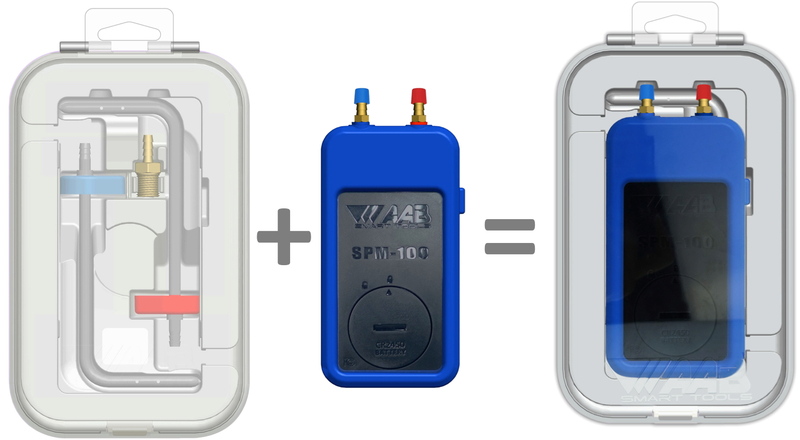 Affordable – The TempSmart TS-100 has the best performance to cost ratio of any data logger on the market. The TS-100-6PK 6 pack provides even greater value. The ABM-100 and ABM-200 Airflow & Environmental Meters eliminate “Margin of Error”. When you want the convenience of the ABM-100, plus a whole lot more…upgrade to the ABM-200. 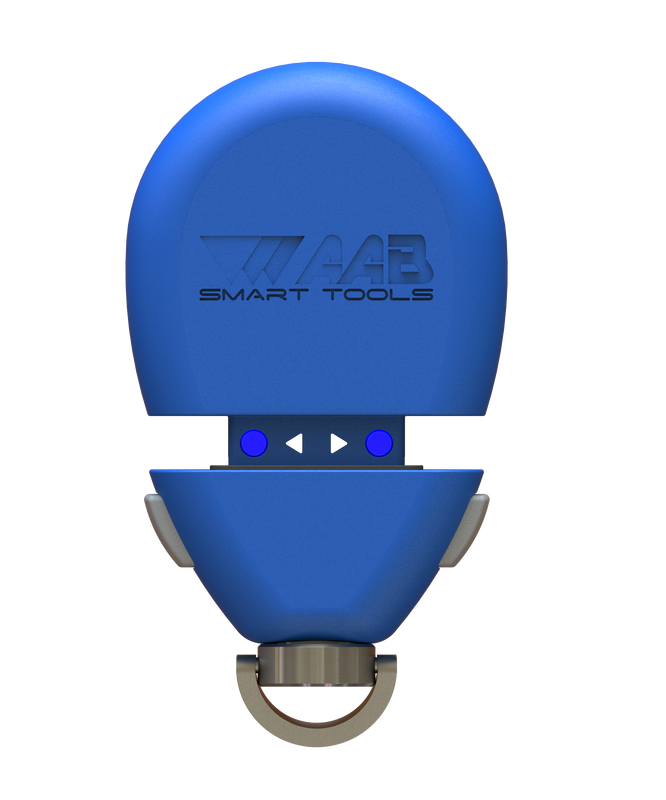 Known as “the Swiss Army Knife of Smartphone Tools”, It has all of the features of the ABM-100 plus gives a better feature vs cost value ratio than any other tool on the market. Increased Safety and Efficiency – With it's built-in Bluetooth Smart Radio, the ABM-200 can be fixed to the AAB 64” extension pole so you can safely spend less time on ladders. Rugged & Durable - The SPM-100 has been one of AAB's best selling tools with proven reliability. It has received outstanding reviews for the combination of accuracy and durability. Accurate – The SPM-100 is accurate to within 0.04” w.c. This is important, but what is more important is that the SPM-100 is unmatched in accuracy when it comes to onscreen guidance and making sure tests are taken correctly. Affordable – In addition to it’s competitive price to performance ratio, the SPM-100 is designed to help contractors generate income from the reporting function. External static pressure tests should be documented on every tune-up and system commissioning. If the system static pressure is too high, the most efficient system in the world is worthless because it can’t move the air. 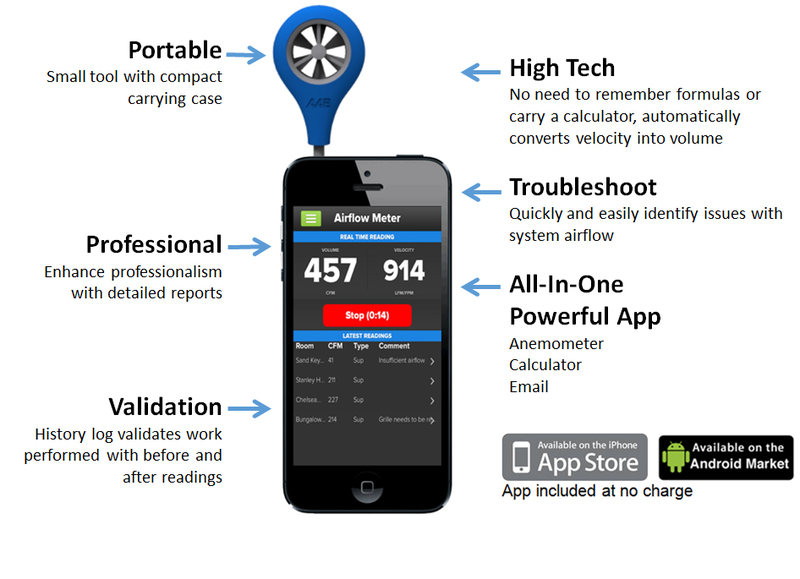 Easy to Use – The meter, the probes and the app are all color coded so that a person with no HVAC knowledge at all can take a Total External Static Pressure Test or several other tests. Heatcraft Australia supports the Government’s introduction of amendments to the Ozone Protection and Synthetic Greenhouse Gas Management Act which outlines the phase down of HFC’s over the next two decades to achieve better environmental impact from refrigeration and air conditioning gases. The Media Release is copied below. of the planet by the middle of this century and by around 2070 over Antarctica. Heatcraft Australia is pleased to announce the appointment of Damian Mackey as the new Vice President, General Manager for Heatcraft Australia/New Zealand. It has been over 10 years since the business has seen the appointment of a local VP & GM to lead one of the country’s leading HVAC&R wholesale businesses. The new direction from parent company, Lennox International is a positive step in the company’s growth strategy. Damian’s appointment comes with a high level of confidence given his cross commercial employment experience. Prior to joining Heatcraft, Damian worked 11 years with Tyco/Pentair in multiple executive leadership roles both in Australia and overseas in the Industrial B2B components sector. Most recently, Damian served as Vice President and Managing Director of Pentair Water Transport, Australia’s leading water pipeline solution provider with operations in Australia, New Zealand, South East Asia and the Middle East. Damian’s track record has seen him build his credibility through leading and inspiring strong teams that deliver results. During his tenure with Tyco Water (later purchased by Pentair), Damian was relocated to Tyco Water UK tasked with and successfully achieving a turnaround in a business not previously reaching its full potential. In this role through his leadership of the full commercial team, the business was able to grow organic sales by 15% per annum. Recently, Damian led the Business Excellence team at Visionstream (an ANZ market leader in Telecommunications Infrastructure construction) which was responsible for the design and implementation of a companywide program focused on delivering business improvement. The results of this saw improvements in operational excellence, increased business performance and a step change in win rates and sales growth for the business. Most importantly, Damian has been able to demonstrate his ability to develop and execute a growth strategy in complex businesses through his value driven leadership style. Following the overwhelming success of ATMO2016, Heatcraft is proud to support ATMOsphere Australia as Silver Sponsor. ATMOsphere Australia 2017 will take place in Sydney on 2 May 2017. The conference is promoted as ‘the natural refrigerant event of the year’. It promises to be a unique opportunity to meet and exchange opinions with market-leading end users, contractors, suppliers, policy-makers and government representatives. As a leading manufacturing and wholesale distribution business serving the HVAC and Refrigeration industry across Australia and New Zealand, Heatcraft distributes Kirby branded CO2 parallel rack systems, condensing units and evaporators, as well as specialising in engineered to order refrigeration systems. The company’s flagship Kirby eCOBoost CO2 Transcritical Rack offers a modular footprint design for customisation and easier installation. Efficiency can be optimised using parallel compression and ejector technology. As part of the Heatcraft Worldwide Refrigeration group, Heatcraft Australia is connected globally with leading brands Bohn, Larkin, Climate Control, Chandler, and Kysor/Warren. In 2015, Kysor Warren achieved EPA’s highest possible certification for its NH3/CO2 Cascade Refrigeration System manufactured for a Piggly Wiggly supermarket store in Columbus, Georgia. Heatcraft Australia is committed to manufacturing next generation refrigeration systems that not only minimise environmental footprint, but also maximise savings and operational benefits for the end-user. To register your attendance at ATMO Australia 2017, visit https://atmosphere-australia.doorkeeper.jp/events/54512 . For more information about Kirby Refrigeration Systems, contact your Heatcraft representative on 13 23 50. The Lennox Stock Chiller Program is being widely used by contractors to meet the often critical time demands of the replacement chiller market. Downtime can be a costly period for any business. In addition to lost production, service repercussions and labour costs, there is also the stress factor to the business owner and staff. With the Lennox Stock Chiller Program, Heatcraft aims to minimise these cost and stress factors. “The stock chiller program minimises chiller delivery turnaround and the attributes of the Lennox stock chillers are such that they also minimise chiller upgrade changeover”, says Thanh Ngo, Built Environment Segment Manager at Heatcraft Australia. The company’s local stock holding covers air-cooled chillers with capacities from 30 to 300kWr. Capacities greater than 300kW are also available and can be ordered by speaking with your Heatcraft Account Manager. Lennox high-efficiency chillers are configured for a wide application range, including comfort, industrial, process and low temp/glycol applications. They have a compact footprint and are suitable for low to high ambient conditions. Lennox chillers are also equipped with comprehensive integrated options including hydraulic modules, HLI protocols, acoustic treatment and superior coil protection delivering excellent corrosion resistance. 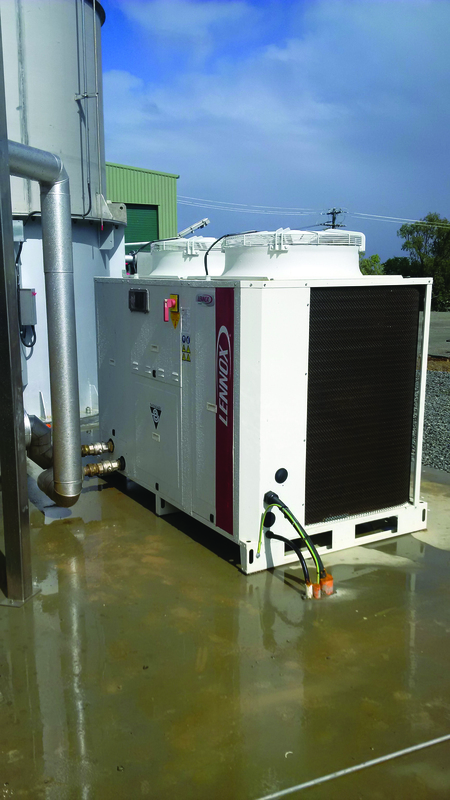 John Mostyn, Heatcraft Field Engineer recently worked with Mark Anderson, Operations Manager of Clements, Air-Conditioning, Refrigeration, Electrical to install a Lennox Ecolean Chiller at the Sanitarium plant at Cooranbong, NSW. “The unit was needed to resolve a critical breakdown on the Pilot Plant Testing production line. Sanitarium’s ability to achieve production targets was compromised due to the existing chiller being out of action”. Through the Lennox Stock Chiller Program, Heatcraft was able to offer Clements chiller selections based on Clements’ heatload calculations and site assisted commissioning, to get their customer back in operation. “The old chiller was decommissioning and the new chiller supplied, installed and commissioned in 16 hours”, continued Mark.